Former members of the North Midlands Association Of DJs would like to report the passing of Mick ‘Tricky’ Richardson aged 59 years in Doncaster. Mick was the co-founder, with Dave Lawton, of the 70s & 80s Disco shop in Hexthorpe, Doncaster called DISCOLAND, which was frequented by all the top DJs of that era. 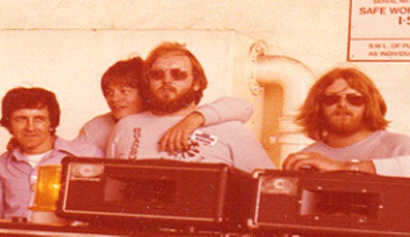 Mick also ran with Dave the legendary ‘Strobes’ Mobile Disco covering most of the top venues in South Yorkshire and was also a popular member of the N.M.A.D.J. He leaves two grown-up sons.